Hello Everyone! 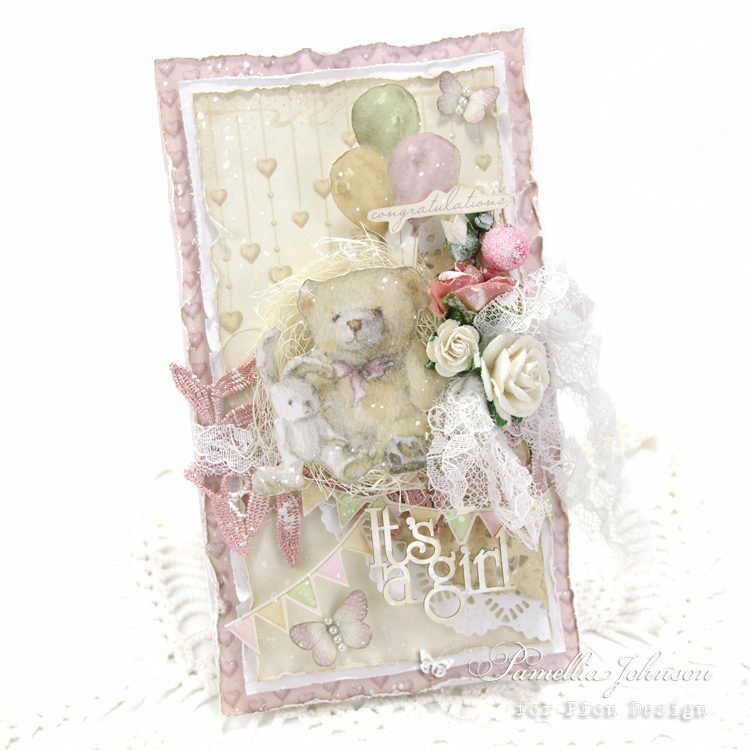 I am excited to share with you today, my first card featuring the newest Pion Design collection “Theodore & Bella”. 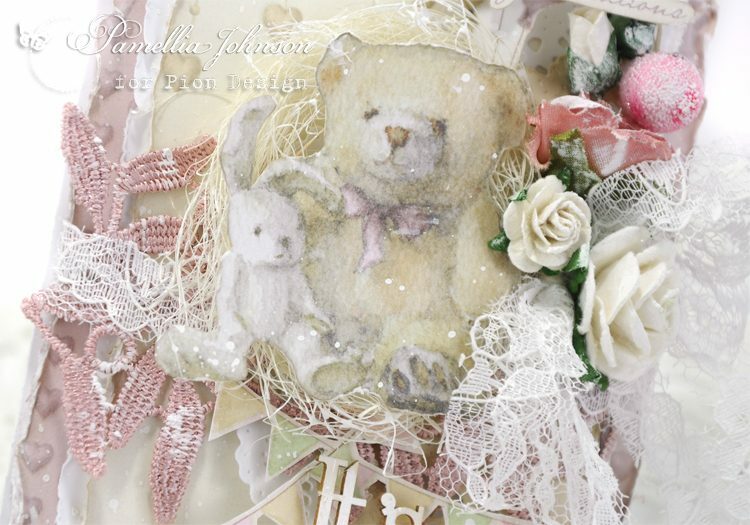 Soft pastels, stars and hearts, teddy bears and bunny rabbits, honestly, how can you go wrong! Oh my you girls just keeps on and on popping all these amazing darlings in our faces ha ha ha. I just love this cute collection here, and I´m already totally sold with the stunning work you girls have shown sofar, and this is no different. Soo cute and beautiful and absolut darling work again today. Thanks sooo much for sharing your great talent with the rest of us here. What a glorious card! Any new parent would be thrilled to receive it. I am amazed from everything I can see, you’re such talented person! 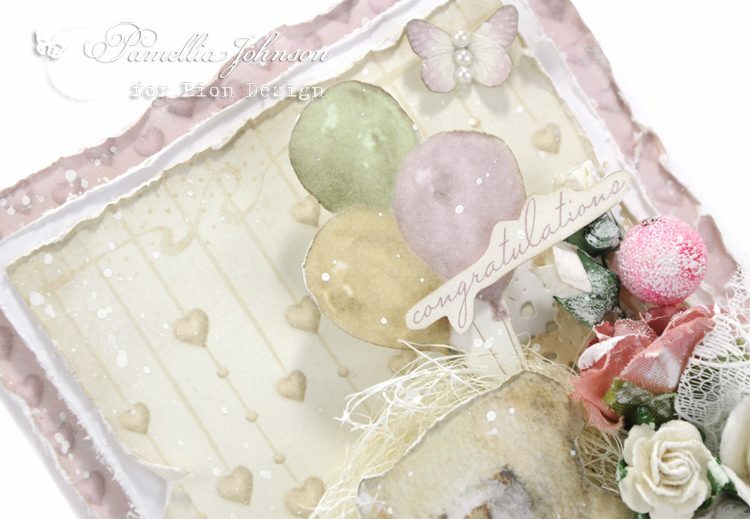 For Pion’s design, could you please let me know the weight/grams of the paper?